I kind of feel like I'm all over the place right now, I have all of these ideas running through my head and I'm not quite sure where I should start. From wanting to purge more items from our home to wanting to paint the entire house and add some more trim detail and wallpaper to wanting to bake up a storm. I sometimes feel like it's never-ending, but I suppose that's the mind of a creative! Where some people find it to be exhausting, I find it to be exciting and fulfilling! Okay and sometimes exhausting! lol! 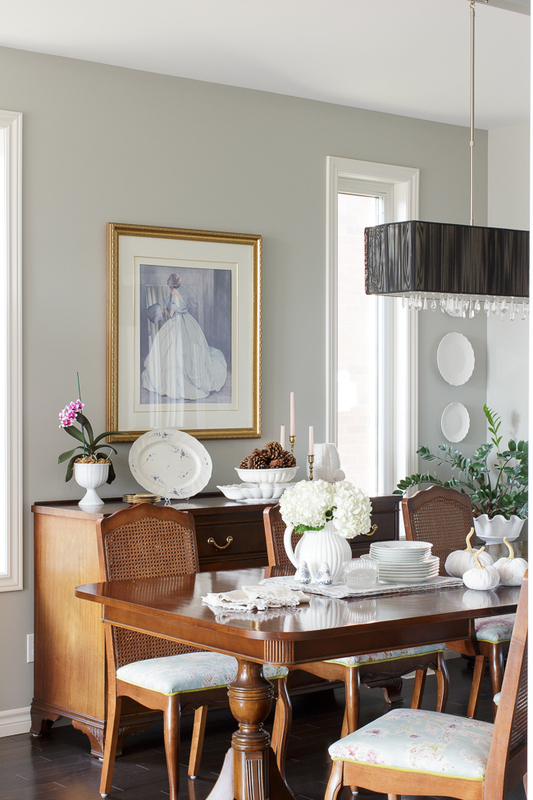 Speaking of painting, incase you missed it, I recently painted the living room and dining room the most gorgeous grey green from Canadian Tire's Paint with Premiere collection. It's a tricky space in that the two rooms are joined, but the front of the room gets much more of the southern light than the back of the room. Trying to find a colour that is bright enough for the dining room but not washed out in the living room took some time. 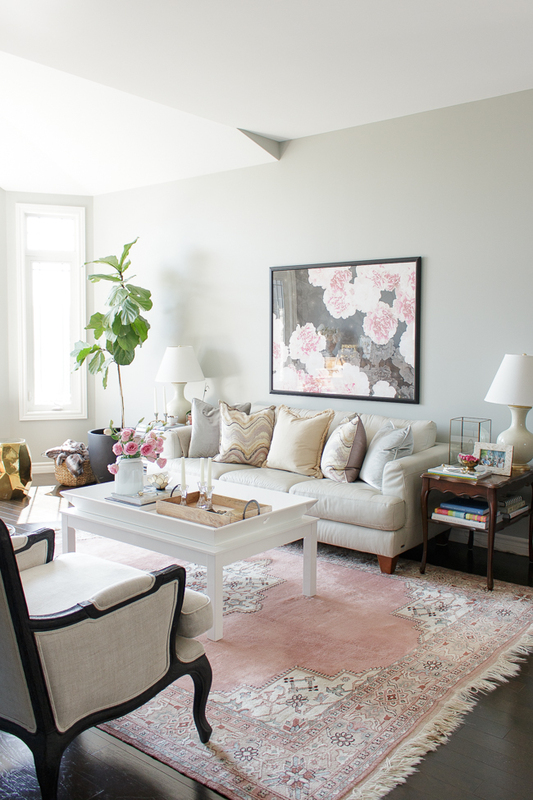 I originally thought I'd go with a white (or a variation of) and in fact, I actually used the same beige that we used in the family room makeover. Because the room is south facing vs north, the beige did exactly what you'd expect, it looked extremely beige! So I immediately went back to Canadian Tire and chose this new colour that I just love. My eyes are now set on the family room, the upper portion of the wall. I'm just ready to say goodbye to the grey. I want the space to still feel cozy, but with more warmth. I have yet to decide which direction I want to go, but have narrowed down my colour selection, so I'll throw up some samples in the coming weeks. A few months back I received the most wonderful care package from Globe Electric. Since then, I've seen quite a few stores carrying their beautiful products. One of the items that was in the care package was this amazing Morion plug-pendant. I took some time this past weekend to install it in our eldest son's bedroom. 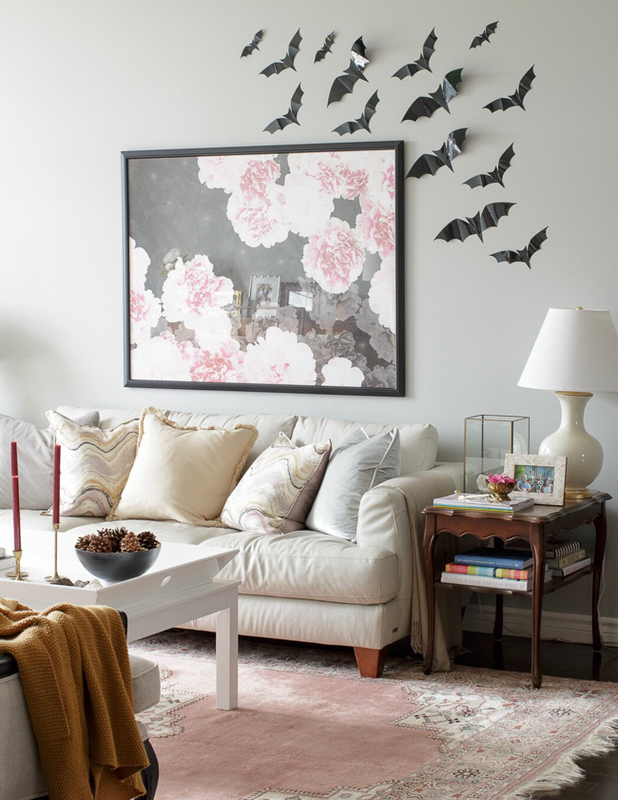 Though I don't typically go all out with our halloween decor, I picked up these cute bats last year and decided to hang them in the living room. The kids reactions when they first saw the decor was priceless! They loved it! 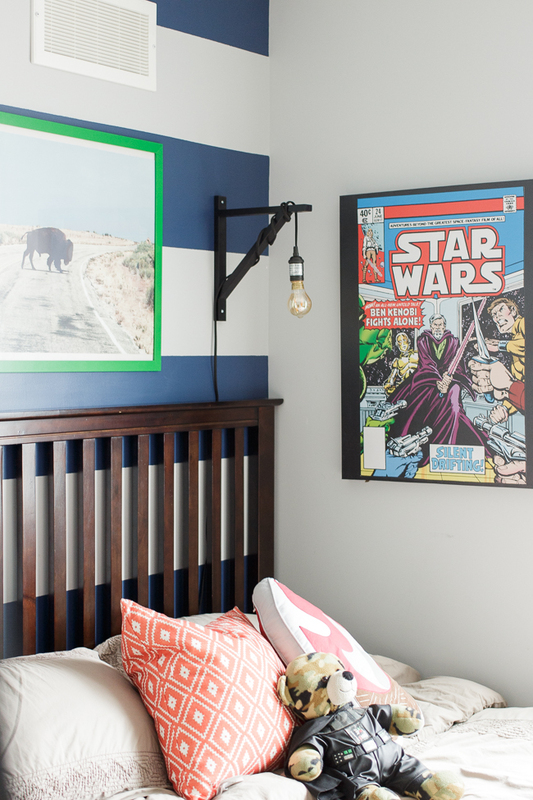 Love love love Jacquelyn's Master Bedroom reveal! Such a beautiful space! Can't wait to see how Vanessa's basement makeover comes together for the One Room Challenge! I wore this top to BlogPodium and received so many compliments! 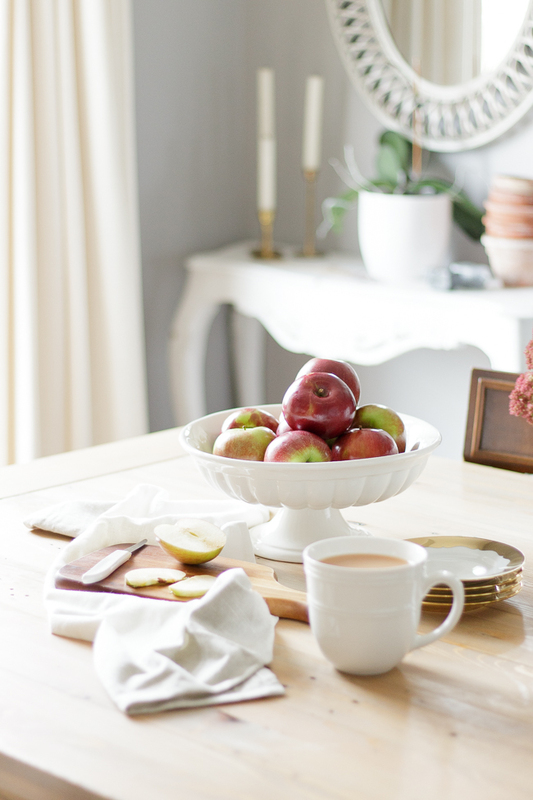 Jen's fall home tour has me craving all things cozy! I can not get enough of Sarah Richardson's new show, Sarah off the Grid! I've watched each episode at least twice already, if not more! You can watch the latest episode here. Another One Room Challenge space that I'm eager to follow, Leslie's kitchen remodel! Okay, time to tackle this Monday, errrr Tuesday! Long weekend brain here!